Ultimate Guide to Coldreading is back - and available for the first time in almost a decade. Originally mentalist and radio psychic B. Thomas only sold this at his lectures and had a limited run among inner circles of professional mentalists. This book has been among the top 10 Must Have books on Cold Reading among pros. 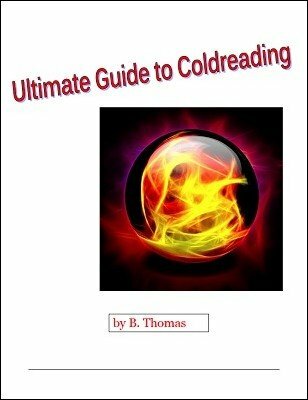 B. Thomas not only shows you some incredible techniques of cold reading - but shows how he built a successful career behind the microphone as a radio psychic. Thomas was heard on radio station all over the United States - and developed a successful private intuitive reading practice as well. Whether you're into performing on radio/TV or just wanting to add cold reading to your act, this is a treasure chest of information. There's no excess or waste of info - all is direct and has been used by B. Thomas and many of today's leading entertainers. One even gives an endorsement inside of the book - but uses an alias to protect his business. 1st digital edition 2014, 45 pages.